MORE SOFT SKILLS = CAREER HOME RUNS! Baseball season is officially underway and the sound of popping bats is beginning to echo across the country – from little leagues to major leagues. Many experts say of all sports, baseball is as much about mental prowess as it is physical prowess. 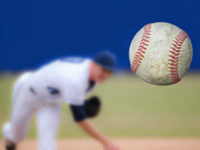 Thus, one of Yogi Berra’s most famous quotes – “Baseball is 90 percent mental; the other half is physical.” The same can be said of soft skills in the workplace. To excel in the use of soft skills takes mental awareness, acuity and agility. When you invest in soft skills training, you can propel yourself and your team into the major leagues. Companies are waking up to the realization that they must improve their game to compete in a rapidly changing world, and that means fielding and keeping the best talent. As megatrend studies consistently point out, companies must attract people who can help them become more agile and customer-focused. These studies have pushed soft skills to the top of recruiters’ wish lists as they seek to help companies stay relevant in the marketplace. Deloitte’s Global Human Capital Trends report reveals that 92% of leaders surveyed rate soft skills as a crucial priority that will greatly impact their future growth. The same study also points out that soft skill intensive occupations will account for almost two-thirds of all jobs by 2030. If that fact alone does not get your full attention, perhaps another finding by three major universities will ring your bell. Harvard University, Boston University and the University of Michigan teamed up to study the bottom line impact of soft skills training. The Universities found that soft skills training programs – like problem solving and verbal and written communication – can boost productivity and retention by 12% and deliver a 250% return on investment! So, the hard truth about soft skills is they make all the difference when it comes to performance, productivity and employee engagement. Today, many organizational and development experts still cringe at the “soft skills” label – which can be misconstrued as less important than so-called “hard skills” like SEO marketing, data analysis, etc. Our teams have been on the field with Fortune 500 groups and have witnessed firsthand the transformation that soft skills training can bring to an organization, leaders and teams. Those who embrace the value of soft skills – and put in the time and practice required to perfect their skills – can reap a range of great rewards. Years ago we started working with an energy company located in the southern US. A light bulb went off for one of their managers in the midst of a session focused on better communication training, conflict management skills and storytelling skills training. It did not take long for him to see the difference the skills were having on his success with stakeholders – both internal and external. He discovered he was able to connect with people at a much deeper level, and this increased stakeholder trust. So, he requested more coaching to immerse himself in additional soft skills. Outside of our sessions, he also put in the time to perfect his new soft skill habits. (Some studies now say it takes a little more than 60 days to form a new habit. Awareness, focus and repetition are required for new skills to get fully “baked” into your daily repertoire.) This energy manager became such an excellent soft skills role model that his company’s public relations team trusted him to take the lead at high-profile community gatherings, employee meetings, regulatory hearings and other key venues. Over time, he excelled in many areas: skills to read the audience, listening skills to hear people’s concerns, understanding different perspectives, aligning with people’s emotions, conflict management skills and identifying solutions that were acceptable to all parties. You might say he was moved from the farm team to the major leagues because of his commitment; he was elevated to a corporate position because of his ability to earn stakeholder trust. How many championship baseball teams could skip spring training and go on to win the World Series? It is during spring training that baseball players iron out the kinks and go on to improve and perfect their form. Just as athletes must fine-tune their skills to deliver their full potential, so must employees and leaders. Research shows that 94% of recruiting professionals say employees with soft skills have the most potential to advance within organizations. This makes it easy to see the value of soft skills training. What are the most important skills that you should focus on first and perfect? That depends on whom you ask, but there are 3 soft skills that consistently rank at the top of wish lists by recruiters and HR leaders. Whether or not you are an avid baseball fan, there is much to appreciate about the subtle and mysterious communications between the pitcher and the catcher. They have their own special language with hand signals and gestures. Of course, opposing teams try their best to crack each other’s codes, because those hand signals can be the key to winning or striking out. The same is true in the workplace – the quality of your communication skills determines many important things: how well you connect with others and how clearly you convey the who, what, when, where and why of a project. Your communication skills impact how others perceive your credibility and reliability, your leadership potential, your approachability and much more. In short, your communication skills shape your future. In the perfect world, associates and leaders would show up for work fully equipped with top-ranked communication skills and strategies. But, in the real world, most people are limping along in the workplace with skills they picked up or modeled from their parents and friends. The simple truth is that most people have not specifically studied or modeled the habits and strategies of highly effective communicators. are in relationships – with their smart phones! Today, millennials in the workforce have communication habits greatly shaped by technology and social media, which ironically has made many of them “socially” awkward and lacking in communication skills. Study after study shows employers lamenting over the low levels of effective soft skills among this group. In fact, 39% of millennials admit that they interact with their phones more than actual people in their lives. They are in relationships – with their smart phones! Experts say that technology has contributed to shrinking attention spans and has spawned a generation of so called “multi-taskers”, which was once touted as a good thing, but has now been debunked as a desirable quality. Unfortunately, studies also show that many good employees leave companies because their supervisors lack effective communication skills training. This is hitting businesses of all sizes in the bottom line – large businesses lose more than 62 million dollars each year, while small businesses lose on average almost half a million dollars annually due to ineffective communication. It is easy to see that the costs add up across the board! Every minute of the day the quality of your communication skills either adds to or takes away from your professional brand. What is your professional brand? It is the one thing people say about you when you leave the room. In our experience, we find that usually boils down to just one or two words. We were working with leaders of a Fortune 500 organization, and one afternoon our leadership skills training team was having lunch with the company’s CEO. We took the opportunity to tell him how much we were enjoying coaching one of his leaders, and he replied, “Yes, he is a serious guy, isn’t he?” That one statement provided a gold mine of information! The leader we were coaching had earned the professional brand of “serious guy” by the CEO. That brand could hold both good and limiting consequences for his role and future in the organization. Soft skills are learnable and the right changes can shift how others perceive your brand and potential. Reaction time is critical in the game of baseball. Great baseball players are much more flexible than those who only dream of making it to the major leagues. Columbia University conducted a study on Babe Ruth and found that he could react to visual and sound cues much faster than the average person. They also discovered that he had better hand-eye coordination than 98.8 percent of the population! Reaction time is just as crucial in today’s business environment. Megatrends are clear that organizations must be agile to remain relevant, and that requires people who can respond to changing markets and customer expectations. One survey reveals that 91% of HR directors now say a major recruitment goal is to identify job candidates who are equipped to deal with change. who are equipped to deal with change. When presented with new ideas, delay making snap judgments – for or against an idea. If you instantly reject an idea, you could be losing out on something important to your career and organization. Practice gathering information and staying open to new ideas. Be open to helping others identify alternative solutions or plans when things change. Be willing to accept that unexpected things will occur on a daily basis. When faced with obstacles, view them as “interesting” and ask yourself what options you have for working with the obstacle to achieve your team’s goals. When asked to take on new responsibilities, view them as opportunities instead of burdens. When requested to learn new skills or to change certain behaviors, become curious about the benefits, instead of labeling the request as good or bad. Again, self-awareness is the foundation for developing more flexibility. Once you recognize your comfort level for change in various contexts, you can develop a sound game plan on how to think about and practice flexibility. In baseball, coaches spend a great deal of time helping players advance their problem solving skills. They help hitters learn how to identify problems and evaluate why a certain swing or plate appearance did not work out as hoped. Problem solving is a learnable skill and rounds out our top 3 soft skills that can make a big difference for your career and team. It is interesting that baseball coaches look at four primary areas to solve hitting problems: emotion, timing, approach and mechanics. When you think about it, this same formula could just as easily translate in corporate settings to improve problem solving. First, to effectively address problems, you must manage your emotional state and that of others. Your emotional reaction can set off a chain reaction within your team. By responding calmly to problems, you can impact how others respond and how quickly they move toward solutions. The overall emotional state sets the stage for creating a team atmosphere where others can think clearly and properly evaluate and address a problem. The wrong emotional response can easily contaminate a team’s work environment and erupt into a “blame game” or “CYA” situation. Keep in mind that “emotional viruses” can spread, so practice good emotional state management. Timing is also paramount when it comes to problem solving. How quickly you identify a problem and respond can mean the difference between success and failure. Cultures that encourage people to be open and honest about problems and failure have a better chance to make timely corrections. SpaceX and Tesla CEO Elon Musk is known for encouraging his employees to speak up when they see a problem or when they disagree with their leaders. Musk has said his goal is to make it unsafe not to speak up about problems, because the earlier they identify problems, the sooner they can get the right solutions in place. In other words, don’t kill the messenger! Reward the messenger for providing quick feedback about problems. S – Symptoms. In short, identify the results or evidence of problems. C – Cause. Identify the root cause of the symptoms or results you are getting. O – Outcome. Identify the goals or outcome(s) you want to achieve. R – Resources. Identify the resources you have in place and those you need to solve the problem and achieve your goals. E – Ecology. Weigh the impact on people and the organization as you work toward solving the problem. There are many technically competent people in the workplace with solid hard skills, but more companies are looking to increase the depth of their bench with people who excel in soft skills. By investing in soft skills, you have greater potential to help your team achieve more wins. You also increase your leadership potential to help your organization increase its agility and outmaneuver the competition. To improve your team’s soft skills, inquire about our consulting, training and coaching programs. Just call or reach out through the Contact Us form at the top of our website. Our team provides award-winning soft skills strategies to help leaders & Fortune 500 groups achieve their goals. We provide consulting, coaching and training services in: leadership development, reputation management, stakeholder engagement and storytelling / presentations. Benchmark has consulted with and trained leaders and associates from all 50 USA states and more than 25 countries. If you found this information helpful, please leave a comment and share it with others. Also, if you would like to receive other tips to advance your skills and career, you will find the SUBSCRIBE button on the top, right hand side of this page. Excellent insights and a a great read! Thanks, Ken! Soft skills are so important and they truly are the foundation of good leadership, customer service and the overall quality of life / work.